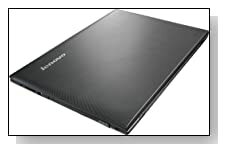 Black Lenovo G50 80L000ALUS is a budget 2015 release 15.6 inch daily things laptop with a dual core 4th generation i3-4030U processor (3MB cache) at 1.9GHz speed without turbo boost but 4-way processing, 4GB DDR3L SDRAM memory, generous 1TB Serial ATA III hard drive at 5400rpm spindle speed for those that like to save a lot of files on their hard drives and Windows 8.1 operating system and you may upgrade it to Windows 10 free of charge. It is a nice and decent everyday computer for mainly home or school use at an affordable price- easy to set up and use but Windows 10 upgrades can take a little while so just be patient. The battery should last around 5 hours in average use but is not the easily replaceable variety and you will need screw drivers. In the box you will find the G50 laptop itself, 4-cell lithium ion battery (2200 mAh), AC adapter, power cord, User Guide and Veriface Pro software and more. 15.6" LED-backlit HD display with 1366 x 768 pixel resolution offers decent visuals, good contrast and detail- is not super impressive or anything but as good as or better than what you can expect from a budget laptop. Integrated Intel HD 4400 graphics is not meant to be for gaming, it will still let you play most games on the market- latest titles at low settings and below acceptable frame rates per second and older titles at high settings and it has an integrated webcam and microphone for live chats or video recording. Keyboard is not backlit and has a numpad on the right hand side and a very sensitive touchpad with left and right click buttons. Lenovo G50 is lighter than an average 15 inch laptop so it is quite portable- weighs 4.6 pounds and measures 15.12 x 0.98 x 10.43 inches. It comes with a Multiformat DVD±RW/CD-RW drive, faster 802.11ac wireless, Bluetooth 4.0 with RJ-45 connector, 10/100/1000 Ethernet LAN, 2-in-1 media reader that supports SD/MMC formats, a USB 3.0 port, 2 x USB 2.0 ports, a VGA output, an HDMI output that lets you connect with your HDTV or monitor- all the useful connectivity ports you will find on a budget laptop. Conclusion: Lenovo G50 80L000ALUS is designed for everyday tasks for use at home or school but does a good job of it too as the CPU with a Passmark benchmark score of around 2700 is capable of handling the more demanding tasks than the regular daily tasks (without the very heavy apps or games), so it is not just about surfing the net, checking emails or watching videos. 4GB RAM is the average amount of memory and is good enough for adequate multitasking but you can upgrade it easily as there are two RAM slots and one of them is empty and 8GB will make a good difference (max supported is 16GB), in terms of multitasking heavier tasks- even much less freezing or lagging when you have several browsers and apps open at once but if you need overall system performance along with the faster boot-ups (Windows 10 already starts up really fast as it is), SSD upgrade (swapping the HDD with SSD) is the way to go. Here you have the advantage of having a very large hard drive if you will be saving a lot of files. 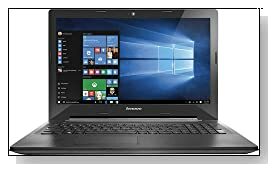 We can’t say whether this model is worse or better than competitors but Lenovo is a globally recognised company and a computer brand and for the low price point concerned it appears to be a good choice and will depend on how much your budget is for a new laptop.